Jackie Fo: DERN GOOD PIES! This past weekend when I was enjoying the Sunday paper and a nap, I stumbled along Parade Magazine's "In Pie We Trust" article. 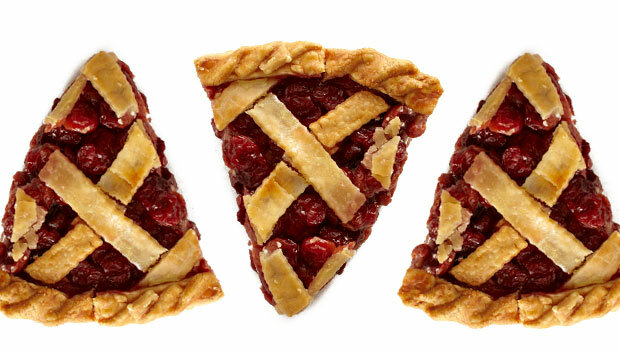 The article had droolworthy pictures and recipes, as well as a little pie history. If it's about food, I'm definitely in, so I devoured the article...the whole time realizing I don't think I've ever made a pie. I mean, I've used pre-made pie crust before, and made little tarts and quiches, but I've never made a pie crust from scratch. Shame! If anyone has a good, fool-proof pie crust recipe, please send it over asap so I can remedy this immediately. Here are some of the delicious pies from Parade. You can find all of the recipes and pie history HERE. 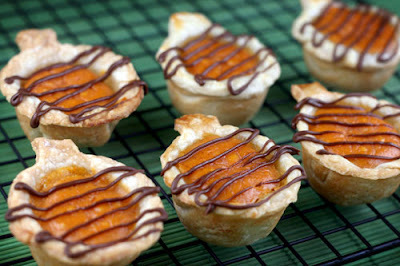 If you're in the mood for pie, but you're new to pie world, I suggest making these. Easy and absolutely adorable - these mini pumpkin pie bites from the amazing Bakerella are the perfect treat. Make them for Thanksgiving if you don't want to fuss with the real stuff. 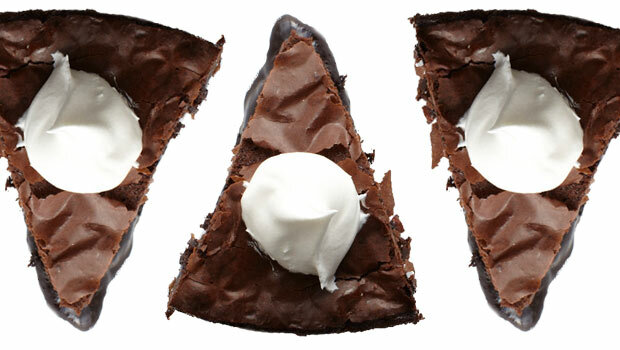 Apply egg whites from one egg to the top edges of each pie. 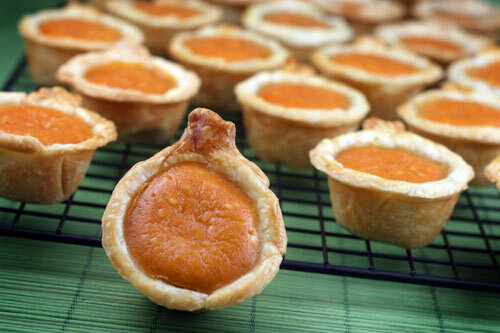 Spoon mixture into each pumpkin-shaped pie crust. Remove pies to cool and repeat with second pie crust. Place the muffin tray in the freezer to cool it quickly for re-use. Makes 24 pies. Keep refrigerated. To decorate, melt chocolate in a heat-proof bowl in the microwave on medium. Heat in 30 second intervals, stirring in between until melted. Add a little vegetable oil to make the chocolate more fluid. Transfer to a re-sealable plastic bag and cut the corner off. Drizzle or draw faces on pies. Note: The cutter I used was 3 3/4 inches wide, but if you don’t have one, don’t worry. Just use a round cutter around that size or slightly smaller to cut circle shapes out of the dough. Then make stems with the scraps. Press each stem over the edge and down the side of the dough before filling. Pumpkin pie spice is a mixture of cinnamon, ginger, nutmeg and allspice. 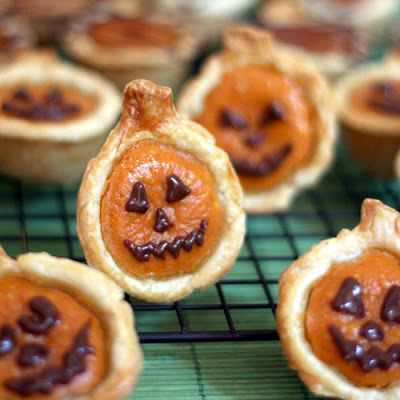 But seriously guys - send me your pie crust recipes or leave a comment. I want to at least make an attempt before I surrender to a life of pre-made pie crust. 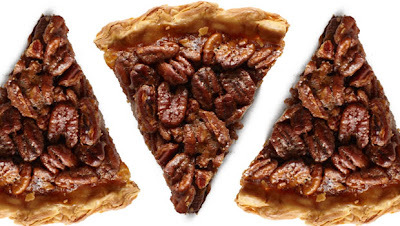 Whether you go pre-made or homemade, pie is just dern good. And no, I didn't misspell it, I meant to say dern. I want that chocolate hazelnut one immediately!! 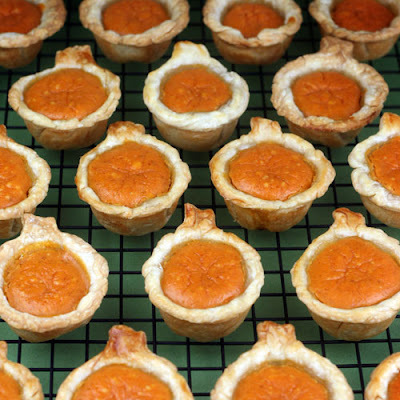 Got here after this delicious pumpkin pies and founded a lot of other good things.Love your blog...stop by mine when you can. Misty and Jared Wedding Photos! A Pink, White and Gray Birthday Bash! Katie & Scott - Pictures are here!